Grenada’s Lower House of Parliament on Tuesday, 21 June, approved a bill which provides for Grenada to use the Caribbean Court of Justice as its final appellate Court instead of the Privy Council in the United Kingdom. The CCJ Bill is one of 8 that are presently before the House for the second and final reading, as Grenada seeks to reform its constitution which has never undergone any amendment since Independence was granted by Britain in 1974. Presented by Legal Affairs Minister Elvin Nimrod, he told the members of the House, whose 15 seats are occupied only by members of the ruling New National Party, that when a country ratifies the CCJ Agreement, that country automatically submits to the CCJ Original Jurisdiction, which has exclusive jurisdiction to interpret and apply the Revised Treaty of Chaguaramas. No constitutional change is needed for this as it does not alter the Constitution. Grenada ratified the CCJ agreement in 2001. 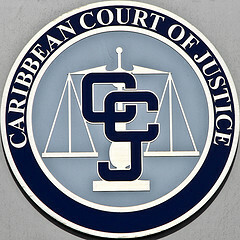 Accession by a country to the CCJ Appellate Jurisdiction (“CCJ AJ”) requires a special agreement between that country and CCJ. “Constitutional change is needed for this as it alters the provisions in the Constitution and the other constitutional instruments, which establish and regulate the courts; it substitutes a new final appellate court for that provided for by the Constitution” he said. Planning and Economic Affairs Minister Oliver Joseph, said that he considers this CCJ Bill very important to the citizens and promises that he will personally champion a ‘yes’ vote for it, during the referendum vote. “This is one Bill I will go around and influence people to vote for because I want to see this bill succeed. I am not downplaying the other bills, but I will like to see Grenada be a member of the CCJ,” he said as he cast aside the opinion of others who have questioned the competence of the regional Judges at the Court. “It burns my heart when certain people question about the competence of our regional judges,” said Joseph, who is of the opinion that the CCJ is proving to the rest of the world, that the region can takes care of its business legally. The CCJ Bill also needs to get the approval of the Senate or Upper House of Parliament. A date for the referendum is yet to be named, but it is widely expected to be held before December 2016. Provided that it receives the necessary approval during the referendum vote, all appeals pending before the Privy Council at the date of commencement of the Act may be transferred to the Caribbean Court of Justice with the consent of all parties. All 13 members attending the sitting, including Prime Minister Dr Keith Mitchell, approved the passage of the Bill, which according to law required a two-thirds majority of members. The Lower House is in a unusual position because there are no opposition members, since none won a seat in the House following the 2013 General Elections. However, there are opposition senators in the Upper House. Nimrod explained that while a two-thirds majority is required in the Lower House, only a simple majority (more than half) is required in the 13-member Senate which has 7 Government-appointed senators.